Wonderful vanilla pod of Tahiti in special packaging Pastry Chef, master craftsman and gastronomy. This format of vanilla of Tahiti economic or format of vanilla from Tahiti Grand Cru not expensive is specially designed for professionals or individuals use a lot of this vanilla Top of range. The vanilla pods of Tahiti are all, fleshy, tender, wrinkled, very perfumed, which offers a subtle taste and very fruity. A Grand Cru for you the pastry chefs or the gastronomes. He must know that the vanilla from Tahiti is use by all the greatest perfumers, because it releases naturally a scent of exception. Ideal for the whole of the cold preparations as the fresh cream, the blanks, fruit salads and soups of fruit. Our vanilla pods of Tahiti Tahaa is the best vanilla in the world. It is an explosion of flavor to the opening of the packet of vanilla. At the opening of the packet, an explosion of flavor will come out with notes of vanilla very fine, floral and fruity. The vanilla pod of Tahiti Tahaa is very oily, fleshy, a beautiful dress wrinkled, very shiny with a perfume as a note of tea anisée, prunes and a background note floral Very typically of the vanilla from Tahiti Tahaa. It is a great vanilla, a vanilla of exception. Buy the vanilla from Tahiti Grand Cru in Tahaa in confidence of the counter of Toamasina thanks to our experience and our know-how. Feature: product of exceptional quality. Vanilla pod very oily and oily, a beautiful dress wrinkled, very shiny with a perfume intoxicating. With an aroma of anise taste and prune. 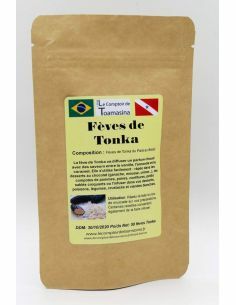 To keep the vanilla pod of Tahiti Tahaa 50g in the best conditions, the counter of Toamasina recommends that you store the extract to the shelter of the light and any impact of temperature.